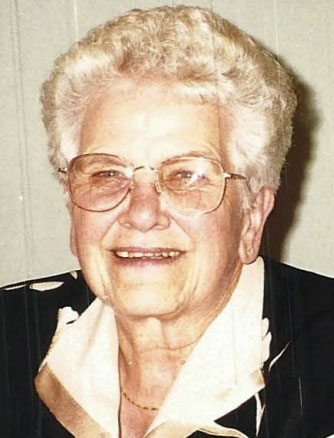 GOODMAN, Wis. — Bethel Belle Sipple, 92, of Goodman, passed away peacefully Tuesday, Feb. 13, 2018, at ManorCare Nursing and Rehabilitation Center in Kingsford. She was born in Goodman on Feb. 23, 1925, daughter of the late Jerome and Mabel (Plummer) Webster. Bethel attended Goodman High School and shortly thereafter was united in marriage to George Sipple. Bethel was an active member in the Goodman Union Protestant Church and enjoyed traveling with her church groups. She was also a member of the American Legion Auxiliary. She enjoyed creating ceramics and tending to her flowers, which she loved. Bethel is survived by her three children, Richard (Diane) Sipple, Jeannie (Tom Santoy) Licary, and Peggy (Dan) Metoxen; daughter-in-law, Kathy Sipple; nine grandchildren; 11 great-grandchildren; brother, Byron Webster; and numerous nieces, nephews, relatives and friends. She was preceded in death by her husband, George; her son, William; and siblings, Leonard, Margaret, Orda Mae, Beulah, and Blanche. Family and friends may call at 10 a.m. Friday, March 9 at Union Protestant Church in Goodman, until the time of the memorial service at 11 a.m.
Pastor Henry Yoap will officiate and Pastor Matt Metoxen (Bethel’s grandson) will deliver a eulogy as well. Burial will be in Glenwood Cemetery in Goodman this spring.